"Weiner's departure presents probably the best opportunity to not only shore up the Latino and African American representation, but to do so with the least disruption,'' said Juan Cartagena, president and general counsel of LatinoJustice PRLDEF, a Hispanic civil rights organization. 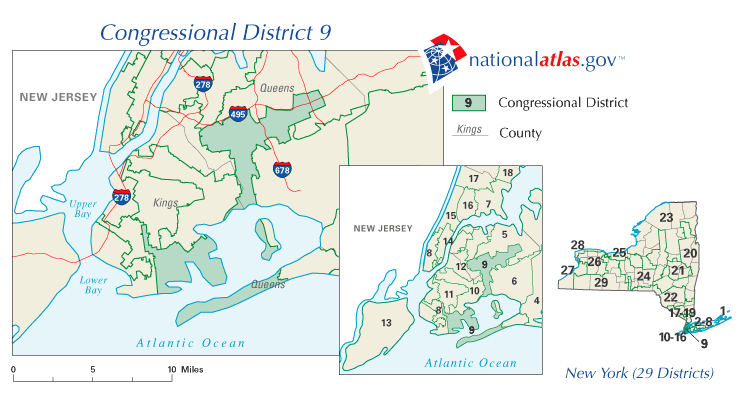 New York is losing two seats in the U.S. House of Representatives as a result of redistricting, a politically complex and contentious process. The 2010 census showed the state's population grew more slowly than the rest of the country. Hispanics were the only one of three major ethnic groups that grew _ by 19 percent. That means each of the new 27 congressional districts must have 717,707 people; but most currently have about 660,000. Each district has to expand in some direction _ how is the question. The winner of that race could still lose his or her job, depending on the redistricting outcome. Gov. Andrew Cuomo is proposing to throw out the current process of drawing election districts _ in which majority parties decide lines to safeguard and expand their majorities _ with an independent commission. "The whole map has to be done before you know where you are,'' he said. His greatest fear was that the political representation that the neighborhood enjoyed under the congressman as part of a smaller district would be diluted if it were to be dissolved and the community belong to a larger district. "If it gets broken up, we become one piece in a bigger pie,'' said the 50-year-old, originally from Puerto Rico, who was accompanied by two friends on Jamaica Avenue. He said it didn't matter if their representative was black or Hispanic because the neighborhood is ethnically mixed _ and because Weiner demonstrated that an outsider could represent and serve their needs well by getting to know their issues. "Weiner lived in that nice neighborhood in Forest Hills, but he's been down here a lot of times,'' he said. Across the country, Latino advocacy groups are pouring resources into the redistricting fight. There are currently 26 Hispanic members in Congress--two in the Senate and 24 in the House. There are 43 black members of Congress, all in the U.S. House of Representatives.